On its birthday, the service is introducing user ratings, which many would agree was long overdue. To rate someone, users simply choose a happy or sad face, then they can select reasons for their rating. Sellers can only be rated after the buyer sends a message to them and they respond; for buyers, the seller must first receive a message. Facebook is also implementing heftier reporting tools to flag both listings and users. Currently, Marketplace uses AI to auto-categorize items, make prompts for messaging, and improve photo quality. It also creates a buyer profile based on the user’s data and Marketplace activity. By comparing this information, it assigns a score for how well the consumer and product data match. Using a content retrieval system and a product index, it is also able to dissect images from listings to understand the item. The operation uses two Facebook platforms, Lumos and DeepText, to separate words from images. 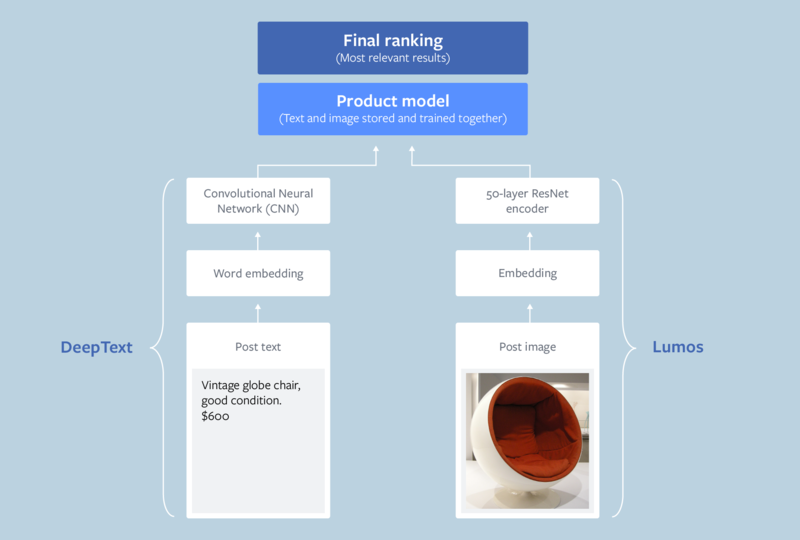 Facebook's AI platforms dissecting an image to build a product profile. Marketplace is working on more features built heavily on AI. Soon it should provide price recommendations for buyers and assist shoppers by suggesting furniture to complete a room, for example, or locating similar items based on a photo. A lot of work is going on behind-the-scenes with Marketplace as the company tries to leverage AI for an easier user experience. 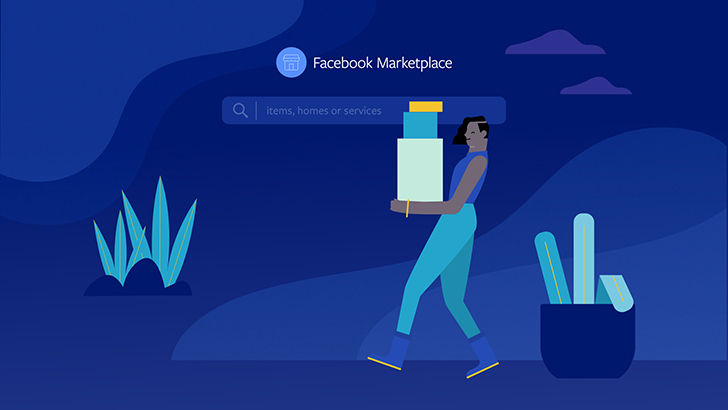 With its computational power and product databases, Facebook is making strong gains in e-commerce that would be difficult for eBay or Craigslist to match.